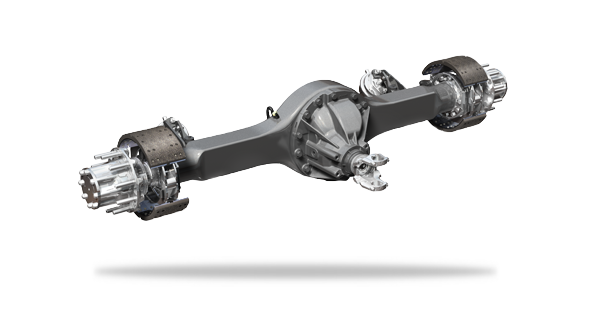 The S140 Single Reduction Drive Axle is lightweight and packed with features that reduce installation and life cycle costs. This axle also improves reliability and decreases noise, vibration, and harshness (NVH). The S-140 is engineered specifically for a wide range of straight truck applications up to 19,800 lb. GAWR, including pickup and delivery, school bus, midi bus, motor home, municipal, and utility applications.